Reblogged Review by Amber Foxx of The Easter Egg Murder. The best analogy I can think of for this book is a Rubik’s Cube. As I read it, I knew all the pieces of the puzzle could fit together, but I never did figure out how until the end. It’s the kind of mystery that engages the mind, with intricately constructed interlocking pieces and multiple layers of relationships, motives and history. It has a whodunit within a whodunit, as the team of amateur sleuths, police and FBI in 2000 work out who is behind the unsolved “Easter Egg murder” from 1950, as well as a murder and an attempted murder in their own time. In spite of this complexity there are no loose ends, no holes, and even its surprise ending is set up so the closure comes from the prior events, not out of the blue. The cascade of events in this story is triggered when Senator Philip Lawrence starts writing two books—his memoir of his life in politics, and a book about a fifty-year-old murder that took place in the small New Mexico town of Los Huevos on Easter Sunday. The second book becomes more important to him than the first, and when word gets out that he’s working on it, the project stirs up some serious trouble. The retired senator’s editors find themselves in the middle of that trouble. I liked the way the two editors’ involvement in solving a mystery was handled. The amateurs don’t outsmart the professionals, but cooperate and communicate with them in a realistic way, as well as occasionally striking out on their own. The characters are deft sketches, the pace brisk. The pieces of the puzzle keep moving. For those who like their books spare and fast, this will fit the bill. The tension is seldom at a life-threatening level, but it builds steadily to that point. There isn’t a dull moment or a single extra word that could have been cut. I actually would have liked a few more words. The historical part of the mystery was so interesting I wanted to explore that time and place in more depth. I had a good sense of Harrie—one of the editors who is the primary point of view character—as a whole person, but I didn’t get to know the other major players as well as I would have liked. Almost like a radio play, a good portion of the story is told in dialog. I’m never in a hurry to have a good book end and I wouldn’t have minded if this slender 212 page novel had a little more meat on its bones. Next week I’ll have an interview with the author, in which she shares some fascinating background on this book. I am NOT a poet. However, one evening, in a fit of despair, I created this little diddy. And I hate you . . .
You are my communication tool . . .
You are my encyclopedia . . .
You are my creative companion. You are my nemesis . . .
You are my frustration . . .
You help me seek out knowledge . . .
You keep me in touch with friends and family . . .
You give me a canvas to paint my words. You give me headaches . . .
You hurt my wrists . . .
You make me groan with despair. You are a genius of engineering . . .
You are an invention of monumental importance . . .
You constantly grow and improve. You defeat me at every turn . . .
You mock me in my ignorance . . .
You withhold results for no apparent reason. Why do I put up with you? Am I truly such a masochist? Are you really so impossible to replace? Now that August 2014 is history, I spent time this week reviewing and discovered what a great month it was for me! As most writers are painfully aware, marketing your work is not as fun as writing is. In today’s world, even those published by big name houses, backed by PR teams, and marketing specialists, find themselves going out into the world, selling their books. For those of us with smaller houses, the marketing becomes even more focused on the writer. I discovered last year when The Easter Egg Murder was released that I had a built-in following I had never realized. Among other activities I pursue, I’ve been an amateur radio operator for almost ten years. At least that’s how long I’ve had my license. Back in high school (and I’m not saying how far back that goes!) I was secretary of the Highland High School Amateur Radio Club. I wasn’t licensed then, and I didn’t need to be. The only reason for my membership and participation in that group was my boyfriend at the time. He was president of the club and spent most lunch hours during the week at the club’s radio shack, tinkering with the ham equipment. I wanted to spend my lunch hour with him, ergo I became a member of the club. Many, many years later, I married that boyfriend, and he was still a ham. Eventually I succumbed to his pleas that I get my license, too, and in August 2005, I passed my Technician’s exam and became a licensed amateur radio operator. Little did I know, some of my biggest fans for The Easter Egg Murder would come from the ranks of other ham radio operators. Happy Monday to all, and here I go with my challenge this week: The Writing Process Blog Hop. I think back to the days I dreamed about being a writer (as opposed to actually writing.) Questions swirled in my head about the process, but I didn’t know any real writers to ask. This was long before the Internet and the wealth of information and connections that are possible now. Today, of course, we have so much information at our fingertips that it often becomes overwhelming. Still we are blessed with having virtual access to many writers and getting a window into their writing lives. That’s what this blog hop is all about. Whether you are currently writing, or still in the dreaming stage, we hope what we have to share here offers insight, instruction, information, or maybe even entertainment. So give us some feedback, if you will. Leave comments here and on the blogs of the writers before and after my post today. I give thanks to B.C. Stone for tagging me to do this challenge. I met Bryan at a meeting of Croak & Dagger, our Albuquerque chapter of Sisters in Crime. He had a book signing scheduled in the next few days, and I went to see what his books were all about. Much to my delight, he’s taken a glamorous movie star from the 1930s and turned her into the detective protagonist of his series. Kay Francis might not be as well known as Joan Crawford, Bette Davis, and Carol Lombard. But her films were as entertaining as she was beautiful. I love that Bryan chose her to put into his books, along with a cast of other famous stars from that era. Check out Bryan’s blog The Vagrant Mood. On Monday, June 30, 2014, I finished the last chapter of my next book, Murder on Sagebrush Lane (at least that’s the title at this moment!) This is another book featuring my characters from The Easter Egg Murder. I immediately started the editing process and have taken two, almost three, passes at it. My editing partner will return from three weeks of travel this week, and we plan to do an extremely thorough joint editing project for the next two weeks. After that, I have the germ of an idea for the next book in the series. I write cozy mysteries, in the tradition of—sort of—Agatha Christie. So how could I be different from all those other writers doing the same thing? Easy. We are all such different people, with so many different experiences in life and ways of living those lives. In my case, one thing that’s different is that I set the stories in Albuquerque, New Mexico, which greatly pleases my friends living here, and perhaps befuddles readers from other places. The other thing is I draw on the experiences of my family members, many of whom have spent time in law enforcement. Then I drop in a few of the strange and wonderful people I’ve met over my lifetime, and Voila! My mystery is not the same as another writer of the same genre. How could it be? Because I LOVE mysteries! Really, that has been my pleasure reading most of my life. Even the early books I read had some sort of mystery going on. I spent part of my early childhood in a home that included, among others, my grandmother, and my great-grandmother. The radio was always on, and at night, the mysteries dominated the airwaves. The inevitability of becoming a fan of that genre was set back then. We had The Thin Man, The Fat Man, Lux Mystery Theater, Inner Sanctum Mystery, The Shadow, The FBI in Peace and War, Dragnet, and the ever popular Johnny Dollar. I sat on my own little bench every night, chin propped in my hands, enthralled with the pictures in my head that accompanied the actors performing the story on radio. They say do what you love, and for me, that’s mystery! First I get an idea. Maybe it’s an incident I’ve heard about, or a story on the news. Sometimes it’s just an inciting incident—the thing that starts the story. I think on that over time until I know how to begin. After that, I start seeing the story unfold like a screenplay. I see the people, moving through life, talking, laughing, whatever they are doing. I write down what they say and what they’re doing. Things happen to them, and I am the scribe. At some point, I have to stop and take inventory of how many subplots are out there, and whether they can stay or if a few should be dumped. Occasionally I go back and insert a plot point earlier to make things work better. That’s one thing that’s so satisfying about fiction: if you don’t like how the story is going, change it! Okay, those are the questions, and that’s enough about me. Here are the two writers who graciously accepted my invitation to take these same questions and run with them. Charlene Bell Dietz I’ve known Charlene most of my life. We’ve been friends since seventh grade at Jefferson Junior High. She moved away before high school, and I lost track of her. Imagine my surprise when I discovered she’d been back in Albuquerque for years! 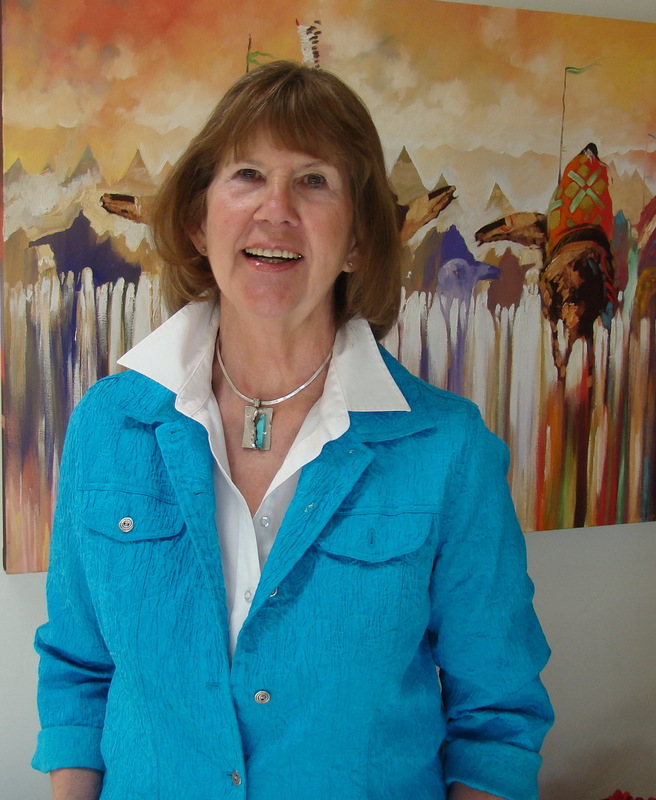 Born and lived in the mountains of Colorado, then New Mexico and Wyoming, and now back in New Mexico where she still resides, Charlene Dietz attended both the University of Wyoming and the University of New Mexico. She received her Bachelor and Masters degrees from UNM focusing on art, science, and education. She later received her administrative certification. She taught and work at all levels, kindergarten through high school and even college. After she retired she traveled across many states doing presentations for Houghton Mifflin Publishing and conducting staff development and school district in-services. Her writing includes published articles, children’s stories, award winning short stories, and Cuba Libre Conspiracies, a commercial fiction mystery that’s looking for a home. Her second book in this series Illusive Inheritance is in progress. Charlene’s first book, Cuba Libre Conspiracies, is told from the protagonist’s point of view. Beth, a Denver scientist, finds her marriage failing and her research sabotaged when an estranged aunt, Kathleen, slams into her life and, to Beth’s exasperation, institutes a nightly cocktail hour complete with roaring 20’s stories. With their conflicting opinions and personalities ping-ponging off each other, Beth’s perception of her carefully planned life changes. She carelessly plunges herself into danger to unravel her corporate espionage mystery. In the process she discovers a disturbing family secret. Joseph Badal worked for 38 years in the financial services industry, retiring in 2007 after 6 years as a director and senior executive of a New York Stock Exchange-listed company. Before he began his finance career, Joe was a decorated military officer, having served in the U.S. army for 6 years, including tours of duty in Vietnam and Greece. He also served in the New Mexico House of Representatives. 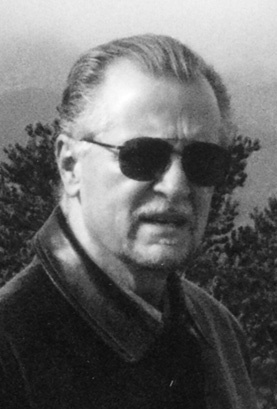 He has had seven suspense novels published: The Pythagorean Solution, Evil Deeds, Terror Cell, The Nostradamus Secret, Shell Game, The Lone Wolf Agenda (which was awarded first prize in the fiction category in the NM/AZ Book Awards in 2013), and Ultimate Betrayal which was released on April 22, 2014. His short story, Fire & Ice, was included in the anthology Uncommon Assassins in 2012, and his short story, Ultimate Betrayal, was included in the anthology Someone Wicked in 2013. He is a member of International Thriller Writers and Southwest Writers Workshop, and was recently named one of the 50 best authors you should be reading. Joe has written dozens of published articles about various business topics and is a frequent speaker at writers and business conferences and at civic organization meetings. He has extensive experience as an interviewee on radio and television. Check out Joe’s blog at www.jospehbadal.wordpress.com. This is the latest Guest Blog appearance I’ve done since The Easter Egg Murder was published last year. I would appreciate having as many people as possible read it and comment on it. A Guest Blogger needs to “deliver the goods” by bringing people to the blog site and getting them to express interest. When a post is well received, people ask you back to post another day. That’s what I hope happens for me. So please check it out and leave a comment there. I said, “Goodbye” to a friend today. I’m planning to go back after the weekend, but you never know. She’s had a rough life: full of physical illness, childhood trauma, loss of a child shortly after birth, divorce, and the ravages of age. She’s less than three months away from her 87th birthday. Her current state of health is dismal and the family’s been told it’s only a matter of three or four weeks. She agreed to enter hospice the day before yesterday. For the moment she’s still in her own home, with a nurse checking on her daily, and her son and daughter taking turns staying with her. This morning was a fairly typical beginning of the week. I’m looking to get organized for the next seven days, and I’m brimming with insights.